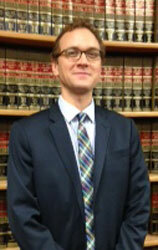 Timothy M. Mahoney received his Juris Doctor Degree from City University School of Law in 2002 and his B.A. from Virginia Commonwealth University in 1999, where he studied Sociology and Music Composition. He is admitted to practice in the State Courts of New York as well as the Federal Courts in the Eastern and Southern Districts of New York. He represented school districts as an associate with Frazer & Feldman from July, 2004 to April, 2007. He was in private practice from 2007 to 2010 handling matters involving civil litigation, commercial claims, copyright and entertainment law, and representation of students with disabilities in IDEA and student discipline hearings. From 2012-2016, when he became associated with the firm, Timothy served as an Impartial Hearing Officer in New York State, hearing due process challenges in matters involving classification, placement and tuition reimbursement pursuant to IDEA and Section 504 of the Rehabilitation Act of 1974, and as a hearing officer with the New York City Environmental Control Board. Since his return to Frazer & Feldman, Timothy's practice has concentrated in the area of special education, including impartial hearings and appeals, and representation of our public school district clients at Section 504 and CSE meetings, student discipline hearings and manifestation determination meetings. He has lectured for LRP's National Institute on Legal Issues for Educating Individuals with Disabilities, the National Business Institute, the School Administrators Association of NYS, and at the Nassau County Education Law Committee on the topics of student discipline, bullying, transgender students, and students with disabilities. Timothy has co-authored a number of articles with Laura Ferrugiari of our firm, published in the Nassau Lawyer, the law journal of the Nassau County Bar Association, including "Transgender Students in Schools: a Shifting Spectrum of Gender, Identity, Biology, and Expression" (July 2016), "Permissible Drug Use: The Administration of Medication in the School Setting" (April 2016), and “Endrew F: The U.S. Supreme Court’s New Standard for Students with Disabilities in Practice” (July 2017).